Details of bootfairs in the Wanstead area. Chigwell Rise Boot Fair, Next to David Lloyd, Chigwell, Essex, IG7 6BJ. Harlow Car Boot Sale, Barrow Road Staff Car Parks, Pinnacles Industrial Estate, Harlow, CM19 5AP. Wanstead Rugby Club Car Boot Sale, Wanstead Rugby Club, Roding Lane North, off Woodford Ave, Woodford Green, IG8 8JY. 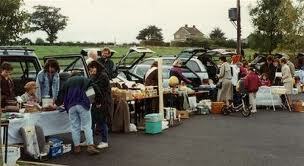 Netherhouse Farm Car Boot Sale, Sewardstone Road, Chingford, London, Essex, E4. Every Sunday from Spring. Sellers 10.30am, buyers 12noon. Pitch fee: car £10, small van £15.